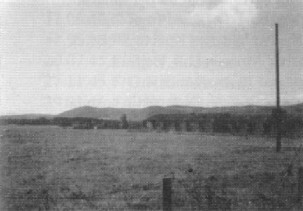 People have told me of some of the dispersed hutted accommodation being used for habitation in 1947, after the airfield and the dispersed sites had been returned to the individual landowners. The first official use seems to have been by the Ministry of Food as a storage depot. 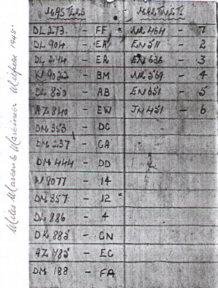 Certainly, Latvian soldiers were billeted on Main site in the period 1946-50. Mr & Mrs Les Levi, I Wheatrigg Avenue, Milfield, told how they first squatted in a hut close to the cottage at Redscar Bridge and that after some time, Glendale District Council reconnected a water supply about 200 yards away and they would fill a 45 gallon drum each day and transport it by wheelbarrow back the 200 yards. 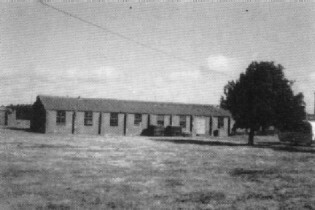 When the buildings became available on Main site they were one of the first families to move in and lived there for about 4 years before moving into No. I Wheatrigg Avenue. They both said that it was one of the happiest times of their lives and that it was a really happy community. Mrs Levi, a native of Wooler, had joined the W.A.A.F. in 1943 and was posted to Royal Air Force Milfield, but was living at home in Wooler and cycling each day to the Officers Mess, to carry out her duties as a waitress and regularly baby sat for the Station Commander, Group Captain Addam's daughter Dawn Addams. 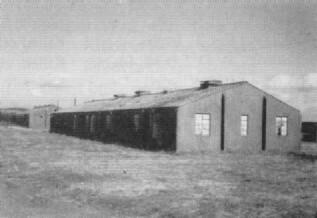 In May 1950 the Ministry of Health approved the conversion of huts for a further fifty six dwellings - two one-bedroom, forty three two-bedroom and eleven three-bedroom houses. The expenditure was £10,340.18.6d. The rents to be 6 shillings, 7 shillings & nine pence and 9 shillings & three pence respectively and included rates. For an extra 6 pence per week hot water could be provided. The old W.A.A.F. site dining room was approved for use as a school and the picket hut at the entrance to the site for use as an Infant Welfare Centre and this continued in use for four years. The water and sewage systems were renovated and repainted and the sewage farm manned by one attendant who's wages were in part paid for by a water charge of one shilling and sixpence per 1000 gallons. At this time approval was given for the construction of eight permanent houses to be built in Milfield village. Mr David Phillips, Tarmac's agent for Milfield, who also manages two other Tarmac Companies sites, for the excavation of aggregate and sand in the county, gave me the basic details of the times and work that goes on at the Milfield site - work that will probably continue for some years and in the process change the once-active airfield back into the rural plain of earlier times. 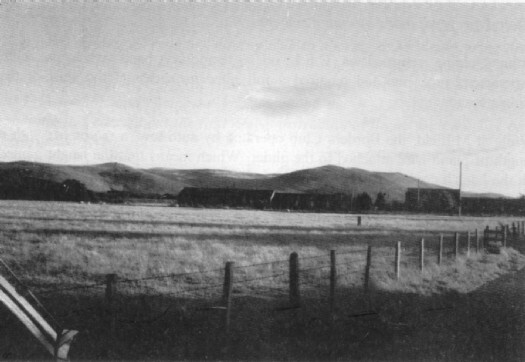 Early excavation by Moffats Sand & Gravel Co started in the SW corner of the airfield and continued there by Cheviot Gravels Co. Many ponds were started and then left. This haphazard working has left, as evidence, varying finished levels in that area. Tarmac started working the site in the August of 1976 and have conducted a rolling programme, following extensive preparation in the removal of the top soil or overburden, about two feet in depth, and transporting to a standing area. Excavation of the gravel then sand continues down to a depth of approximately 60 feet which has resulted in a level and easier surface to farm and a much more pleasing green area to look at and in keeping with the sweep of the surrounding countryside. Air Anglia, a company no longer in existence, flew two or three flights out of Milfield, using the Fokker Friendship, late in 1977 and again in 1978, as a feeder for major airlines and to test the water with regard to commuter flights to European centres but no development of service followed. 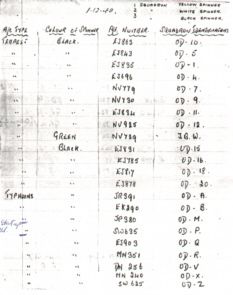 For those other anoraks amongst us, Allan Edwards has allowed me to run off a list of the aircraft that were in use at Milfield and that he observed on a cycle ride around the perimeter of the airfield, on 01.12.45. Thank the Lord he had a mind for history and has been able to pass many items of those times on to me, to use or to keep, and they have given me a greater feel, for the atmosphere of Royal Air Force Milfield through its comparatively short operational period in the 2nd World War. While paper records exist, to think that miles of camera gun film was shot, but none of it retained, with Royal Air Force Milfield`s recorded history, is a great shame. I`m just so very grateful, that my questions were answered by those few, that experienced it at the time. It is hard to convey the urgency of the moment, the dedication of the individuals and the sophistication that the training machine, ultimately became, towards the end of the Second World War. 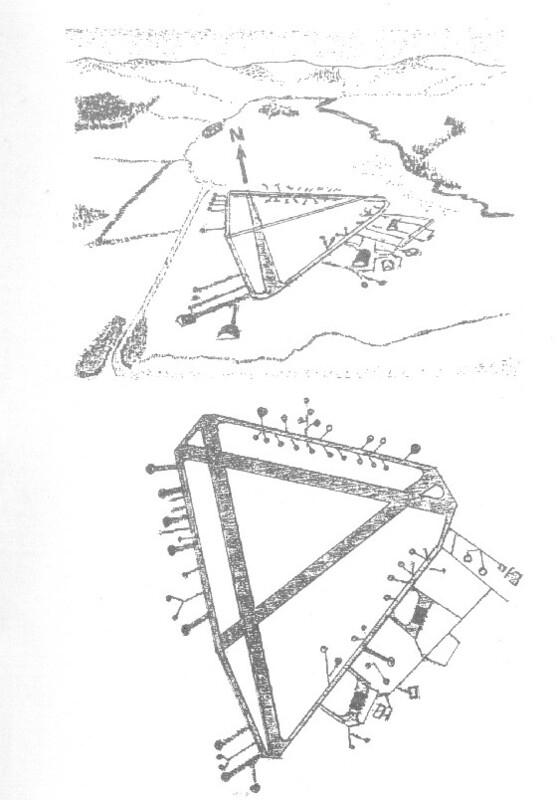 The additions to "Milfield not just an airfield……" on this web site, have, I hope, conveyed some of that spirit. "I moved up to the North East with the firm in 1968 and by mid-1970 myself and a few enthusiasts had purchased a Slingsby T21 and a Slingsby Tutor from Newcastle and Teeside Gliding Club near Middlesborough. 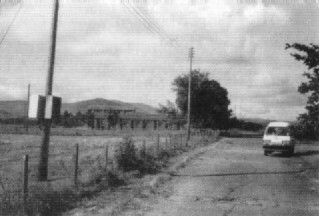 Some auto- towing was carried on the old Milfield airfield with the farmer`s (William Brodie) Jaguar motor car.These flights were very exploratory and only a few in number with the help of John Clarke - then C.F.I. of the Northumbria Gliding Club near Newcastle." "I was asked to form a "regular" gliding club to operate at Milfield during the latter part of 1970. An old single drum winch had been purchased, a diesel flat bed lorry acquired, free of charge, for cable retrieving and as a Fully Rated Instructor and, with the knowledge of the B.G.A. (British Gliding Association). I carried out the first twelve instructional flights with the T21 on 15 Nov 1970.
" Progress was slow, principally due to my own other commitments and flying took place one weekend in the month. The first major advance was the training of James Hogarth up to the level of our first new instructor. Thereafter he flew and instructed on a regular basis under my jurisdiction as C.F.I.a role I fulfilled until 1983". "During this period the club progressed. First buying a Skylark 3b single seater glider, then a Bocian(Polish) two seater, an ex-Air Cadet winch and a Piper Super Cub, 180 hp, regestration G-BJCI. This aircraft was flown over from Newtownards (Ireland) toCarlisle where we inspected it, test flew it and then flew it over to Milfield. 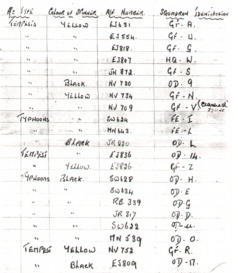 Private ownership started with James Hogarth and others buying a Ka 6 CR, then R Coulson buying a K6 E. Alan Urwin bought a Scheibe Falke SF 27 registration G-AYUR and a Dart 17R followed by a DG 200". "We progressed from rigging and de-rigging on a daily basis to having a hangar on hard standing by mid-1975. However by then Tarmac were investigating digging for sand and gravel. Also a precast concrete block and Readymix concrete plant were appearing. 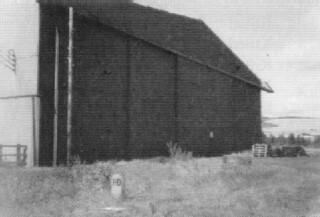 This heralded the end of Milfield airfield for operational purposes but it was to be nearly five years before operations finished and transferred to Galewood Farm - a site purchased through personal loans by club members". Colin Golding returned as C.F.I. on a temporary basis when the club experienced problems and required a frill rated instructor at the start of the gliding season. 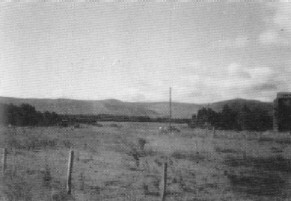 While at Milfield, the Borders Club operated by auto-tow, a motor car with a length of piano wire attached to the glider. Which means that the height gained on the launch could only ever be as high as the wire was long or even less and could be about half the length of the runway avai ilable length. Nevertheless, several claims for Silver height, distance and duration, that is a gam of height of 1,000 metres, a distance of 50 kins and a duration of 5 hours, some Gold height flights to 3,000 metres and some flights to 4,000 metres plus were made. 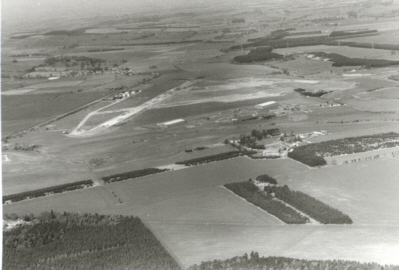 When the club moved to Galewood,the mode of launch was by aerotow, using the Super Cub aircraft to tow the glider. This enabled the tow to be extended to the best area of lift, either thermal or Wave. set off by the Cheviot Hills. This gave rise to many more claims for Gold height, distance 300 kins, Diamond height 5,000 metres, 500 kins Gold distance, free flight and 300 kins declared goal. As pilots only claim these height, distance and duration flights once, if they are verified by, the barograph carried, sealed within the glider, these same pilots often fly these record heights. distance and duration more than once, long may they continue. A very active saw mill operates on the old Sick Quarters, of which little remains. Owns an area of land just off the old airfield site, to the south west, at a junction of the British Gas National Transmission System. Fed from the British Gas Terminal at St. Fergus, north of Peterhead, Grampian. Two major pipelines run from this site to feed the system and a planning application to build a gas compressor station at this unobtrusive site is pending. 02.06.43 Sgt Dawson Hurricane V6860 K.i.f.a. 13.06.43 Sgt Jones Typhoon R7580 K.i.f.a. 14.06.43 Sgt Kemp Hurricane AF956 Killed, engine failure after take off. 05.09.43 P/O McDougal Hurricane V6610 K.i.f.a. 02.05.44 F/L Wilkinson Killed, dived into the sea, 4 miles off the coast at Hutton Cranswick while on operation "Driver"
12.05.45 F/L F.W.Mossing. R.C.A.F. Tempest EJ685 Killed, collided with NV759. F/Sgt C.W.Powell survived and was re-flighted to course 6a. F/L F.W.Mossing, an instructor, was posted in 04.05.45. died eight days later. 27.11.45 F/O R.G.Marshal Tempest NV709 K.i.f.a. In Kirknewton churchyard, in a service plot, are buried twelve pilots who were killed while operating out of Royal Air Force Milfield . 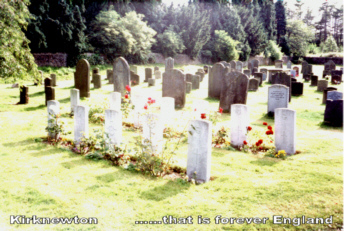 At some time in the 1950`s they had been brought to this one area of the churchyard from their original graves in various other parts of the churchyard. As far as is possible to ascertain, the missing headstone at plot No 1294 is no mystery. Oberfeldwebel Fritz Kalbfleisch Pilot. Oberfeldwebel Karl Lahr Navigator Unteroffizer Walter Frank Radio Operator Oberfeldwebel Friedrich Freyh Air Gunner, now know to be the crew of Dornier 217E-4 Wk No 5432 U5+DL of 3/KG 2, one of 25 German bomber aircraft attacking targets in the North East on the night of 25 March 43 at 00.05 this aircraft crashed at Trowup Burn, south of Madamlaw, Cheviot killing all crew members, who were buried at Kirknewton Church, later all four were disinterred and re-buried at plots in the German War Graves, Cannock Chase. Also at sometime in the 1950's four German Air Force aircrew who were buried in Kirknewton were removed by the War Graves Commission for burial elsewhere. They had been killed when their aircraft flew into the Cheviot in March 1943. They were..
Oberfeldwebel Fritz Kalbfleisch Pilot. Oberfeldwebel Karl Lahr Navigator Unteroffizer Walter Frank Radio Operator Oberfeldwebel Friedrich Freyh Air Gunner, now know to be the crew of Dornier 217E-4 Wk No 5432 U5+DL of 3/KG 2, one of 25 German bomber aircraft attacking targets in the North East on the night of 25 March 43, at 00.05 this aircraft crashed at Trowup Burn, south of Madamlaw, Cheviot killing all crew members who were buried at Kirknewton Church, later all four were disinterred and re-buried at plots in the German War Graves Cemetary, Cannock Chase.